The Symposium/Convention is a large event & requires all hands on deck to be successful. 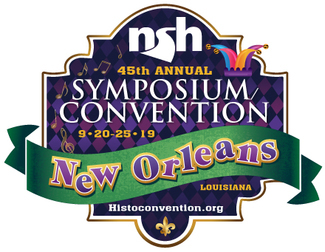 Volunteering is a great way to get involved in NSH & be a part of NSH’s premier educational event. NSH awards up to 2 contact hours per year for volunteering at NSH events or on NSH projects. Volunteers that participate in any tasks listed below will be eligible for 2 volunteer contact hours in 2019. If you are able to assist in any of the following positions please click the link and complete the sign up form. The Convention will take place at the Ernest M. Morial Convention Center in New Orleans, LA. Navigating the hallways to find workshops or get to the exhibit hall is always easier if a friendly face is there to point out the way. The Convention Committee is looking for volunteers to give directions and answer general questions for attendees as they move from session to session. Convention Guides will be given a map and a quick answer sheet for the most commonly asked questions by attendees. Shifts last 30 minutes and are available Saturday – Tuesday.